German Chancellor Angela Merkel has met with Algeria’s President Abdelaziz Bouteflika, who has rarely appeared in public since a crippling stroke in 2013. 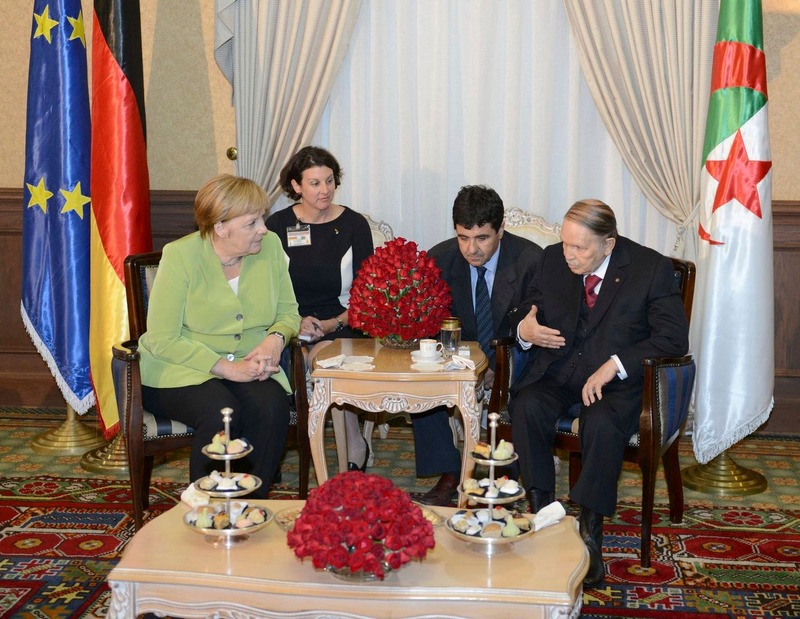 Algerian television channels showed images of Merkel and Bouteflika talking together during her one-day visit to the country on Monday. Initially set for February 2017, the meeting between the two leaders was postponed to this year because Bouteflika was stricken with the flu, according to the presidency. Algeria’s official APS news agency reported that the Chancellor and the President discussed migration and the situation in neighboring Libya. Merkel’s visit was aimed at boosting investment in the country that is a major source of migrants heading towards Europe. About 200 German companies are working in various sectors in the North African country. In a joint news conference, Merkel and the Algerian Prime Minister said they agreed on a process to send about 700 Algerian migrants identified as illegally staying in Germany back to their country. The PM said most citizens had been returned on Air Algérie flights, adding the process could be quicker if Berlin was able to convince Lufthansa to fly them back on its regular flights. Merkel also said Germany was willing to continue its “close cooperation” with Algeria in defense and security, particularly for “the fight against terrorism”. Posted by Geraldine Boechat on September 19, 2018. Filed under Zoom. You can follow any responses to this entry through the RSS 2.0. Both comments and pings are currently closed.